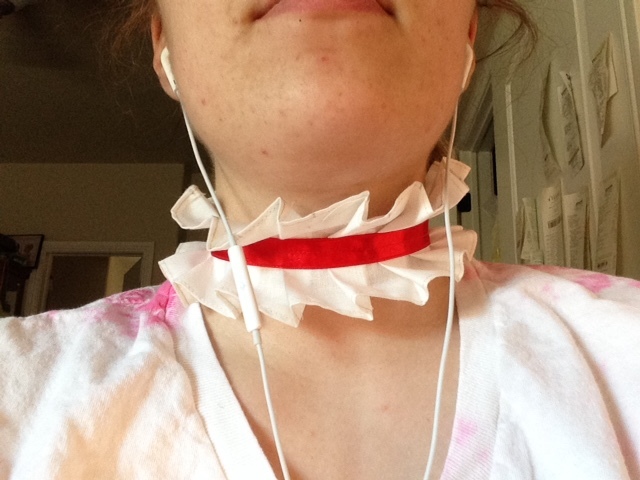 STEP 3: First you're going to measure the circumference of your neck. Once you've got that number double it and you have the length of your white fabric piece. The height of your white fabric will be about 3-3 1/2 inches. Cut out your fabric using either your scissors or rotary cutter and mat, to get straight edges use your ruler to draw a line on your fabric as a guide. 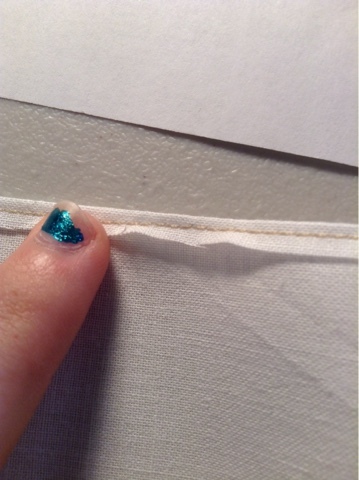 STEP 5: Next take your ruler and lay it next to your fabric strip. You'll be marking your pleats. 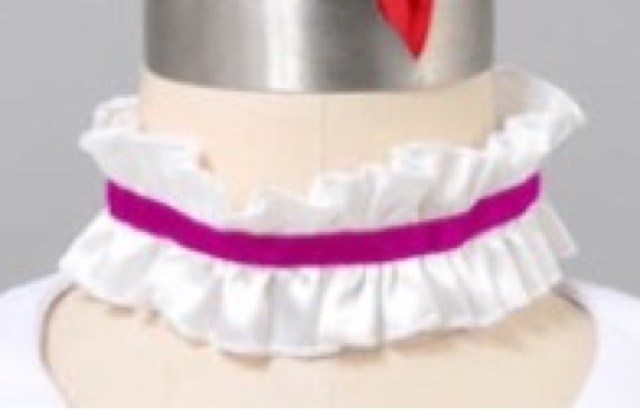 For mine I did 1 inch pleats, you can make your pleats as big or small as you need them to be. 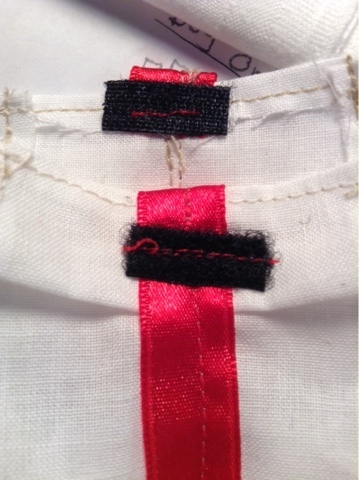 Make small marks on the INSIDE of the fabric strip on both the bottom and top hems. I messed this part up which meant that I had to remark it. 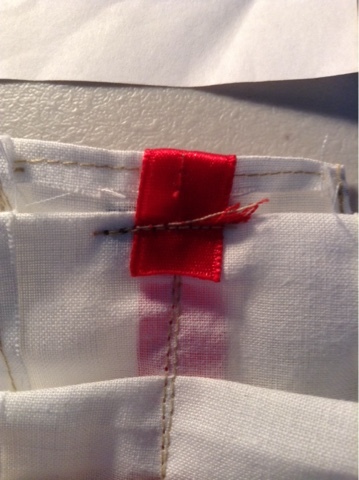 STEP 7: Now take your red ribbon and lay it on the stitching that you just sewed. Leave about an inch on one end and half an inch on the other. 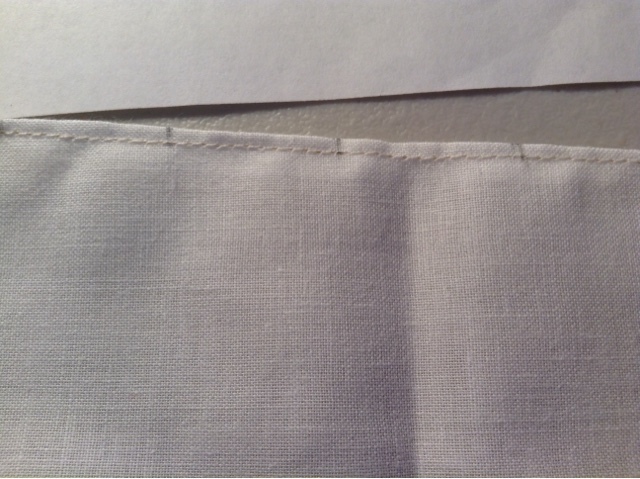 The extra half inch will be folded under the white fabric to give it a finished look. The other inch is for if the choker isn't quite long enough to go all the way around your neck, like an extension of sorts. 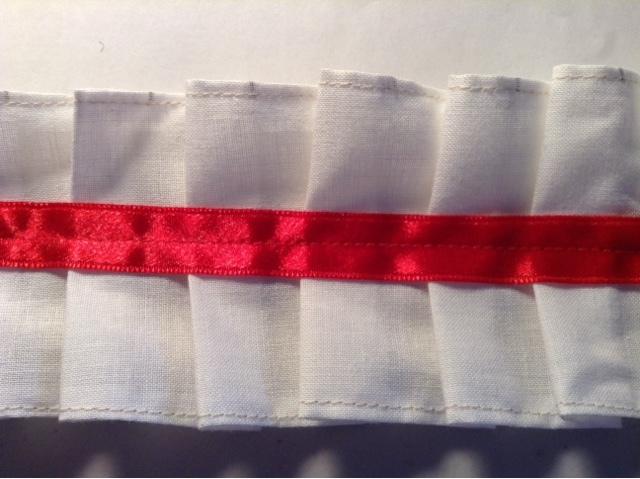 Rethread your sewing machine with the red thread and sew the ribbon to the white fabric. STEP 8: Last step! 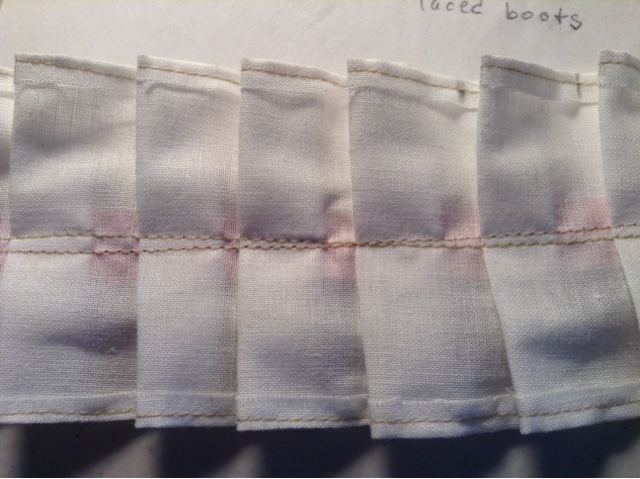 Once you've sewn the ribbon to the fabric measure it to see if it fits. Mark where the two ends come together. If you don't need the extra ribbon cut off just enough so that you can still fold it under and sew it. Then you'll want to cut a small strip of Velcro. Put the 'hooked' part on the inside and the 'fuzzy' part on the outside so that they overlap and stick. If you are using the sew on Velcro make sure to sew it on. If you're using the adhesive Velcro I would advise not to try and sew it on. I did and it didn't turn out so well. It made the machine needle very very sticky and I had to carefully remove and wash it with soap and water.